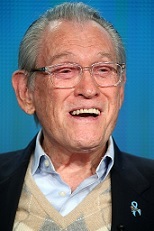 Claim To Fame: Earl Holliman is an American actor known for his many character roles in films, mostly westerns and dramas, in the 1950s and 1960s. He won a Golden Globe Award for the film The Rainmaker (1956), Sci-fi classic Forbidden Planet (1956) and portrayed Sergeant Bill Crowley on the television police drama Police Woman throughout its 1974-1978 run. Family Life: Holliman never married and has no children. Info: He is also a vegan and is against the use of exploiting animals by using their furs for clothing. During World War II, he lied about his age and enlisted in the U.S. Navy at 15. He was discharged a year later when his real age was discovered. Following his high school graduation he rejoined the Navy at 18 and was stationed in Norfolk, VA, where he became involved in the Norfolk Navy Theater and appeared in leading roles in several productions. He is one of the few former Hollywood performers who, even in retirement, takes great care, thought, and pride in replying to every piece of fan mail he receives. He is one of many notable names in the entertainment industry who have been cited in the short saying "There are five stages in the life of an actor" by Hollywood columnist Mike Connolly (e.g. "Who's Earl Holliman? Get me Earl Holliman. Get me a Earl Holliman Type. 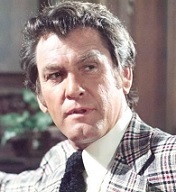 Get me a young Earl Holliman. Who's Earl Holliman?"). In 1998, he authored a short story for the book Chicken Soup for the Pet Lovers Soul, entitled "The Woman Who Took Chickens Under Her Wing" which was based on a real account of his experience with an animal rescuer. Trivia: Played the main character in the very first "Twilight Zone" episode to be telecast, "Where is Everybody?" (October 2, 1959). He was chosen over Elvis Presley to play the role of Jim Curry in The Rainmaker (1956). Out of all his movie roles, he cites The Rainmaker (1956) as being his personal favorite. He is a staunch conservative Republican. Where Are They Now: Holliman appears to have unofficially retired from acting. He currently resides in Studio City, California, and grants occasional interviews.